The amazing talents and fantastic feats of the world’s most heroic working dogs are celebrated in these true stories about man’s best friend! In this book, you’ll learn all about the awesome dogs that are trained to save lives and brave the most dangerous situations. Meet tracking dogs and space dogs, police dogs and mountain rescue dogs, guard dogs and guide dogs. Then find out how these paw-fect pets are trained for their special missions, and how they carry them out. 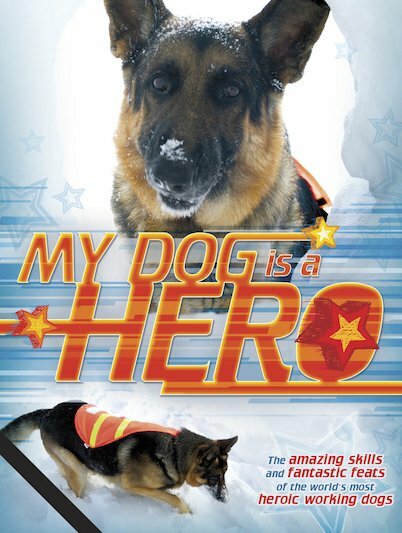 Packed with thrilling action photos and fact files about these famous canines’ astounding feats, this book shows how these helpful heroes each got their start in the job, and explores their amazing achievements since.